Filifera Aurea is a wonderful evergreen conifer with a distinctive weeping appearance. 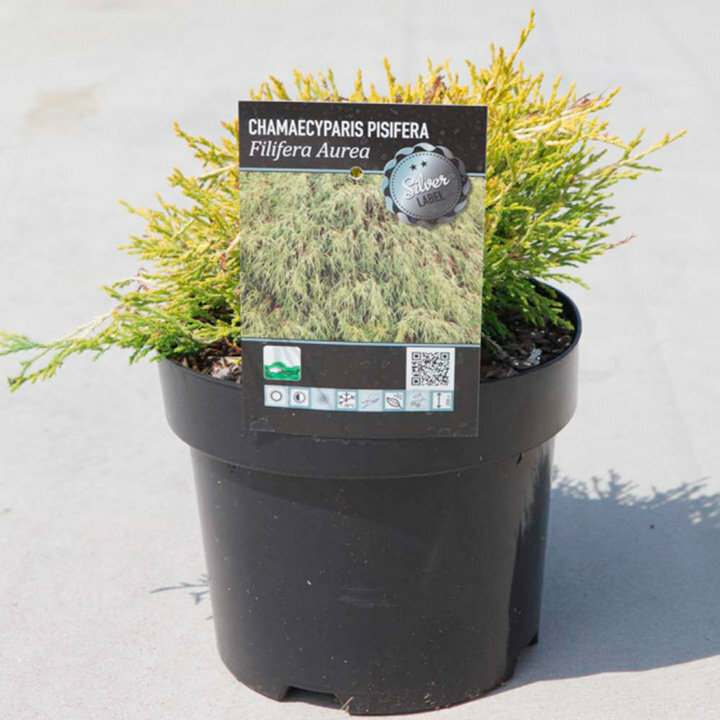 Extremely slow to grow Filifra Aurea starts as a shaggy mound maturing into an upright conical-shaped tree carrying feathery branches with cord-like golden yellow foliage that droops at the tip. Height 150-200cm. Supplied in a 3 litre pot.